Windows 10 release, Amazon Kindle Kids, The NSA stops spying, FIFA 16 female players, Enrique fingers drone, and Kung Fury brings back the 1980s. 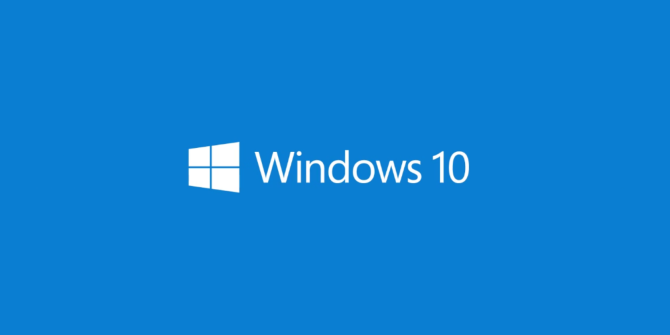 It’s official, Windows 10 will be released on July 29. 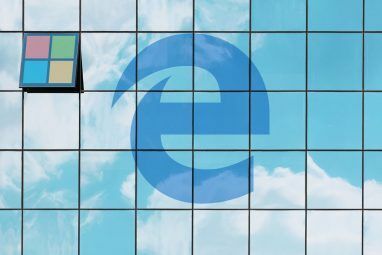 Microsoft announced the news after people started noticing a new icon in the system tray of their existing version of Windows. This allows eligible users to reserve their free Windows 10 upgrade Windows 10 Upgrade - Free Doesn't Mean It Won't Cost Anything Windows 10 Upgrade - Free Doesn't Mean It Won't Cost Anything There's a catch to the free Windows 10 upgrade. Microsoft understands its audience all too well; they are more likely to pay for the freedom of control, rather than for extra features. Read More ahead of release. 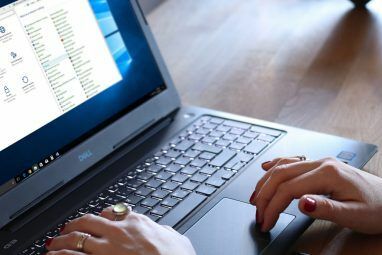 This means anyone who owns a PC or tablet running a legal copy of Windows 7 or Windows 8 will be able to upgrade to Windows 10 for free on July 29. New computers with Windows 10 pre-installed will also be available to buy from that day. Windows 10 will arrive on phones at a later date. It turns out that the leak by AMD CEO Lisa Su Windows 10 Release Date Revealed, Google Launches Mobilegeddon, & More... [Tech News Digest] Windows 10 Release Date Revealed, Google Launches Mobilegeddon, & More... [Tech News Digest] Windows 10 set for July, Google goes mobile-friendly, Nokia is coming back, how to download your Google Search history, help search for the Loch Ness Monster, and the best fake GoPro ad ever made. Read More was entirely accurate, as she revealed in April that Windows 10 would be launching at “the end of July”. Meanwhile, Newegg is listing Windows 10 as being available to buy new on August 31. Which is just a month after the free upgrades begin rolling out. We said at the time that if the AMD leak was correct Microsoft had a lot of work to do in just three months. Now, we’re less than two months away from release, and Microsoft still has work to do finalizing features and ironing out all of the various bugs. Which begs the question: when will Windows 10.1 be released? Kindle for Kids is a brilliant idea, but I hope they also (eventually) do a Fire variant. E-ink doesn't really work for young children. Amazon has launched a Kindle for Kids Bundle, which, as TechCrunch reports, makes the Kindle experience a little more friendly for children. Aimed at parents of children who like to read, the Kindle for Kids Bundle comprises an ad-free Kindle e-reader, a child-friendly cover, and an extended 2-year warranty designed to protect the Kindle from accidental drops and spills. The bundle is priced at $99, which is a saving of almost $40 if the three elements were bought separately. However, while this is good value for money, and could help get kids reading more books than usual, it’s not exactly a charitable endeavor. Amazon knows that with every child it gets using a Kindle, the more secure its future as the default digital bookseller 5 Websites Other Than Amazon to Find Great Kindle Books 5 Websites Other Than Amazon to Find Great Kindle Books With the availability of so many free or affordable e-reader programs and devices for both Mac, PC, and mobile device users, you can find some good free ebooks - especially classical literature - to download... Read More becomes. Section 215 has expired! I can finally text rude words to my friends without worrying that someone at NSA knows a pastor at my Mom’s church! The National Security Agency (NSA) has lost the power to surveil the communications data of U.S. citizens in bulk. These powers have existed since the Patriot Act came into force in 2001, but the bulk collection of phone records NSA Tracking, Pony Passwords, Reversible USB, Santa Trackers [Tech News Digest] NSA Tracking, Pony Passwords, Reversible USB, Santa Trackers [Tech News Digest] NSA is tracking us all, Pony Botnet snags 2 million passwords, next-gen USB to be reversible, Beats Music launch date, Valve joins Linux Foundation, PopUp Archive launched, and two Santa trackers go into battle. Read More wasn’t really know about until Edward Snowden revealed all in 2013. According to Reuters, the legal authority for these activities expired on Sunday (May 31) after Republican presidential hopeful Rand Paul blocked an extension. The Patriot Act is now likely to be replaced by The Freedom Act, which is backed by President Obama and the White House. The Freedom Act changes things up by insisting the NSA and other agencies request data on specific individuals they suspect of having links to terrorism. Which is at least a step in the right direction Your Interest in Privacy Will Ensure You're Targeted by the NSA Your Interest in Privacy Will Ensure You're Targeted by the NSA Yes, that's right. If you care about privacy, you may be added to a list. Read More . And a direct result of Snowden’s revelations before he fled to Russia. EA is including female footballers in FIFA 16, making this the first game in the series to include female players. In total, 12 international women’s teams will be featured, including the USA, England, Australia, Germany, France, and Italy. The first FIFA game was released in 1993, meaning this has only taken 22 years to happen. Still, it’s better late than never, and with the Women’s World Cup kicking off in Canada on Saturday (June 6), the timing of the announcement is rather fitting. Enrique Iglesias learned a valuable lesson while playing a gig in Tijuana, Mexico this past weekend. Which is never to put your fingers near the propellers of a flying drone. If you do, you’ll likely suffer the same fate as Enrique himself, who, according to CNN, cut his hand rather badly. The video embedded above shows the singer grabbing onto the drone, before trying to tip it forward. While this normally goes off without a hitch, on this occasion the drone caught Enrique’s hand, causing it to bleed rather profusely. He carried on performing for some time before eventually receiving treatment backstage. He then completed his set with his hand bandaged up. It’s not quite up there with Michael Jackson setting fire to his hair while filming a Pepsi commercial, but still. And finally, Kung Fury has arrived to help us all remember how truly terrible the 1980s were. Kung Fury was made after a successful Kickstarter campaign persuaded 17,000 people to hand over $680,000 between them. And the result is a homage to the decade that most people have tried hard to forget. Kung Fury is now available to watch on YouTube free. It may only be 30 minutes long, but it’s 30 minutes of such over the top sci-fi action and adventuring Get Smart: Watch the Best Futuristic Action Movies Get Smart: Watch the Best Futuristic Action Movies There are a number of movies that combine hard-hitting action with deep concepts. These are smart, thought-provoking films that offer a most welcome form of intelligent entertainment. Read More that we’re not sure the world could have handled a feature-length film. Watching Kung Fury means you’ll laugh, you’ll cry, and you’ll cringe from embarrassment. You will also be glad the eighties are long gone Remembering the 1980s - Hold On, Was It Really Like That? Remembering the 1980s - Hold On, Was It Really Like That? Ah, the 1980s. Whether you were born in the 80s, grew up in the 80s, or never set foot in that infamous decade, hearing the term “1980s” probably makes you think of something. Is it... Read More . Or at least they were until these bright sparks brought them back to life. 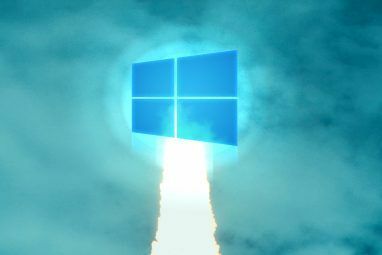 Are you excited about the release of Windows 10? Have you bought your kids an Amazon Kindle? Should the NSA permanently lose its power to spy on people? Should EA be adding female footballers to FIFA 16? Do you have any sympathy for Enrique? Will you be watching Kung Fury in full? Explore more about: Amazon Kindle, Drone Technology, Kickstarter, Surveillance, Windows 10. If WIndows 10 is released, will the driver for the Xbox One Controller be updated? "These powers have existed since the Patriot Act came into force in 2001" ... I thought that the collection was pronounced illegal precisely because those powers were not included in the Patriot Act ! "The Freedom Act changes things up by insisting the NSA and other agencies request data on specific individuals they suspect of having links to terrorism" .... I believe this is false too !! The Freedom act requires that "person" be in the selector field but person can be companies and businesses too like Verizon or Comcast ! One of Rand Paul's amendments he wanted to be taken up was using the word "INDIVIDUAL" and not person. Make Use Of needs to study the facts more before stating what they (think) they are ! http://en.wikipedia.org/wiki/NSA_warrantless_surveillance_%282001%E2%80%9307%29 http://en.wikipedia.org/wiki/MAINWAY Regarding the Freedom Act, "The proposed bill would end the NSA’s bulk collection under Section 215 by requiring the government to seek records from companies using a “specific selection term” that identifies a specific person, account or address and “is used to limit .?.?. the scope” of records sought. The term may not be a phone or Internet company." So your claim that it could be Verizon or Comcast is incorrect. Unfortunately this is merely a claim in Wikipedia . This not to say such a prohibition doesn't exist but more than someone's claim is needed given that them term PERSON was already defined by the Patriot Act and you should produce a quote from the law which says it may not be a phone company or telephones company other than someone's interpretation of what "person" means.